Sewers are one of the most underrated inventions of humans, albeit one of the most life saving. Before the proliferation of the modern sewer system and sewer pipes, waterborne diseases caused by contaminated water such as cholera killed thousands. When humans finally figured out we were poisoning ourselves, sewers became the norm. However, as soon as sewers were invented, animals began to take up residence, the most common being rats. Animals can cause major problems in your sewer pipes. 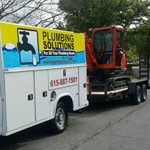 TN Plumbing Solutions offers sewer cleaning and sewer pipe repair services in Nashville. In this blog, we’ll take a look at the residents of sewers and what to do if you see one of these guys in your toilet or around your sewer lines. 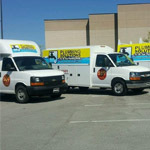 Contact us today for all of your plumbing services! It’s common knowledge that rats are the primary residents of sewer lines. Rats are almost tailor made for sewer dwelling. They have poor eyesight, so the dark doesn’t bother them. They have hinged rib cages, making it easy for them to contort and twist in sewer pines and sewer lines. They will eat almost anything, including waste products. And they are excellent swimmers. Using their tails as rudders, sewer rats can swim for up to three days and hold their breath for three minutes. Finally, there are no natural predators for rats in our sewer system, making it the ideal living environment for rats. HOW DO RATS IN SEWERS AFFECT YOU? Rats can swim up your toilet bowl and thus get into your house, where there is food aplenty for them. 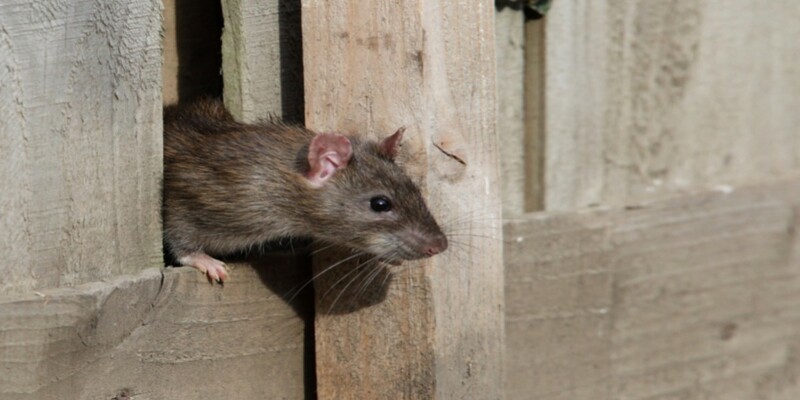 Rats can enter your home through a break in the underground sewer line that is connected to your home’s main drain. According to the Centers for Disease Control, rats can directly transmit diseases to humans, including leptospirosis, rat-bite fever, the plague, and salmonellosis. Close the lid of your toilet immediately. You don’t want that critter running around your house. Call a pest control company who deals with rodents to rid you of your little rodent friend. You can try flushing the toilet to see if that will vanquish the invader; however, you don’t want the rat escaping and causing you harm in the process. Snakes don’t normally hang out in sewer systems. However, like all creatures on a quest to survive, snakes go where their prey live. And what do snakes eat? Rats. Snakes, which are excellent swimmers as well with bodies that are even more malleable than a rat’s, can be found in sewer pipes and sewer lines as well, as they enter seeking food. HOW DO SNAKES IN TOILETS AFFECT YOU? Most of us aren’t herpetologists and can identify varieties of snakes accurately. As we all know, some snakes are poisonous and can thus cause harm to us, our kids, or our pets. Snakes can also enter the home through your ventilation system or cracks in your walls. They seek out the bathroom because it’s a cool place in the summer months that’s dark and moist. Close the lid of your toilet immediately. Place something heavy on the lid so the snake cannot escape. You definitely don’t want a fast-moving, possibly poisonous, scared snake slithering through your home. Call a pest control company who deals with snakes to safely remove your snake friend. You can try flushing the toilet to see if that will remove the snake; however, this is not as effective with snakes as it is with rats since snakes tend to be bigger and the underside of their bellies have an insane ability to grasp your toilet for dear life. Flushing the toilet will probably only awaken your snake friend, possibly make him angry or scared, resulting in an agitated, possibly poisonous snake in your toilet who now wants to escape. Spiders are opportunists and will hide in any conceivable crevice. While odds are if you have spiders in your toilet, it’s a toilet that is used infrequently as most spiders cannot swim, although some can survive in water by trapping a bubble of air around their abdomen (which is what the funnel-web spider in Australia does). HOW DO SPIDERS IN TOILETS AFFECT YOU? Some spiders are poisonous and can be deadlier than snakes. If you are bitten by a spider, use a tourniquet to tie off the appendage if possible, try to kill the spider, and then get yourself and the spider to your nearest hospital. This will help doctors identify the spider to know which anti-venom to give you, if any. Close the lid of your toilet immediately. Flushing your toilet (sometimes multiple times) usually does the trick. If your spider is wily and escapes the running water (which is highly likely), do your best to track it down and kill it. Call your local pest control company that deals with spiders. Odds are, if you see one, there’s more than one around, especially if it’s in the spring and spider babies are hatching. TN Plumbing Solutions in Nashville recognizes the value of rats, snakes, and spiders. Spiders kill other insects such as mosquitoes that can carry diseases and are in general downright annoying. Snakes kill rats that carry diseases, and the vast majority of snakes are harmless and avoid humans. Rodents are the largest group of mammals on the planet. Rats serve a vital role in the food chain, providing food for snakes, birds of prey, and many other animal species. For humans, rats have been used for medical research and can be trained to sniff out landmines in places such as Cambodia and Tanzania. This is useful because rats are so light they won’t set off landmines like dogs can do. Rats also spread seeds and are eaten by humans as well. That being said, the above critters should not be in your home. For your safety and your family’s safety, it’s important to remove them from your home as soon as possible — humanely if possible. They can cause major damage to your home. Rats can chew through your sewer pipes, and their excrement can ruin any surface in your home, including the wood in your roof, ceiling, and floors. Snakes can cause blockages in your sewer line, which would result in a sewer back up and possibly a sewer line replacement. 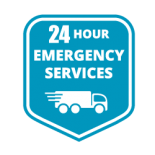 If you find any of the above critters in your toilet or suspect there are critters from the strange noises coming from your sewer pipes at night, give our 24-hour plumbers at TN Plumbing Solutions a call. We offer sewer line inspection services to check for sewer line breakages and/or leaks. If you see rats or signs of rats around your property or business, it’s a good idea to call us as well for sewer inspection services. If a breakage is found, our sewer pipe repair technicians will have those little guys locked out for good. We offer both commercial and residential sewer services. 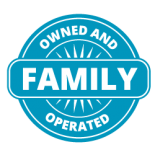 Your health and safety are our top priority, and nothing is more important than your sewer line repair. 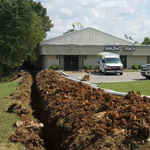 We send out our top-notch plumbing technicians to your Nashville home as soon as possible to diagnose your sewer line problem and begin your sewer line repair. If you notice anything awry with your plumbing, such as water that is backing up out of your toilet, TN Plumbing Solutions can help. 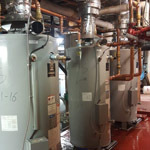 We’ll diagnose your plumbing repair and get to work, removing the sewer blockage or offering sewer line repair for either your home or business, promptly and efficiently. No one likes plumbing repairs, which can be messy and hazardous to your health. 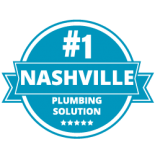 Give TN Plumbing Solutions a call today!